Artists are not restricted to a single place in the world, every country raises such talented souls on their fertile land where they breathe, learn and transform what they know. The implementation of ideas is the only thing that makes us know what potentials a person has no matter what genre he works on, no matter what profession he has. An artist is an aesthetician, you can be an artist in your own domain, as artistry is not just limited to sketching, making sculptures or paintings, an aesthetician can be the one who knows the beauty of nature, who can stand and appreciate the beauty packed in a peaceful garden and the one who appreciates the creativity. Well designers are artists too because innovation and ingenuity are highly implied in their work. You know that they are hardly free, since the very start of their job, they get overburdened because there is so much to do and there is a very little time at their disposal. Making something inspiring and totally new in a limited time is commendable in itself and we should appreciate graphic designers to have these management skills. They never lose their minds no matter how much pressure they are being imposed on, they very attentively remain calm at their work places. Well I, being a graphic designer has a lot of exposure to the field of designing, I can very well give a short description to these artists that’ ‘they are the ones who know how to present what, using various tools’. 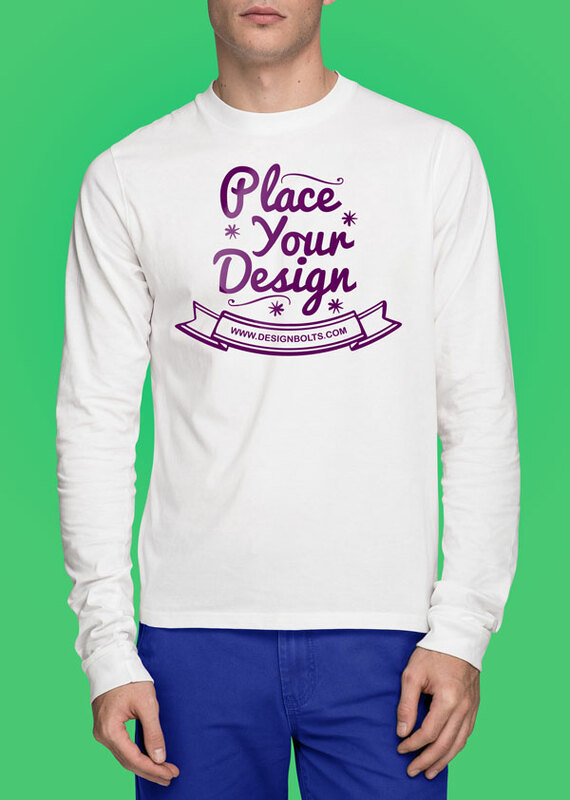 Today I am showing before you free white long sleeves t-shirt mock-up Photoshop PSD file, front & backside that I designed lately. 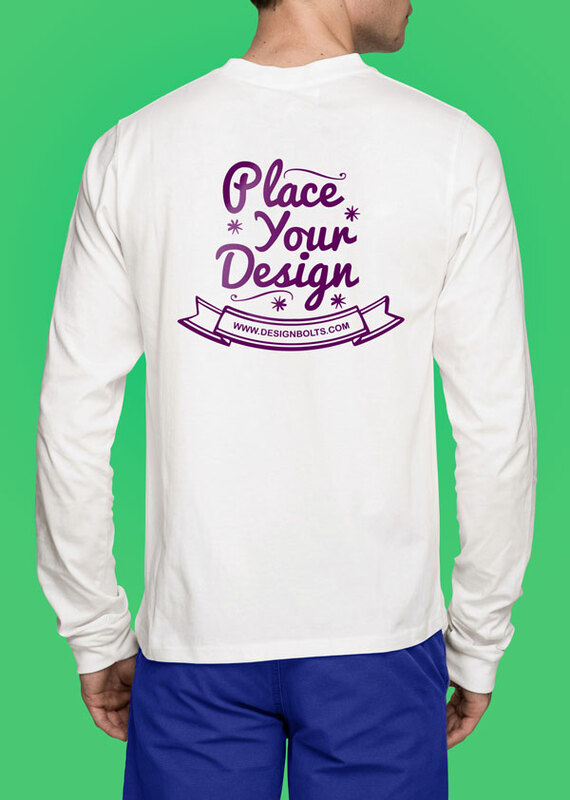 You just have to insert in your own design element in order to manifest it before your client. You can use it for your personal prospects. I am making more of this type for your accommodation, do let me know what you think about such freebies, do they really help you to get through? Stick around for more is yet to come after a short while. 2. Layers are hidden to decrease the size of file kindly unhide, ungroup and place your design on red layer. 4. You can change the jeans & background color easily by just applying the fill. Thanks for these bud, was searching a LOT before I got this. Thanks! It’s helping me so much! Any way you guys can upload the sleeves also? both sides? teima kasih banyak,sangat membantu saya..